How many times have you traveled to a foreign country not knowing the people with whom you would travel, meet, stay, and work? How many times have you gone to a new place not knowing where you would stay, what you would eat, how you would get around, or even who would pick you up from the airport? For some of you seasoned travelers these questions and situations may seem like no big deal. But for others, such as myself, who have very rarely traveled beyond my own country, these are all very big issues to deal with. I am the type of person who likes to know the plans and be sure everything is covered and taken care of. Traveling to a foreign country with so many unknowns made me very uncomfortable! So why did I do it? Because I knew that God had called me to do it. Our SDB Missionary Society is working with the Zambia SDB Conference to provide the instructors and materials for the T.I.M.E. (Training In Ministry by Extension) program for pastors in Zambia. One of the great needs throughout the world, and especially in Africa, is additional training for pastors. The T.I.M.E. program has been used here in the United States and in various places throughout the world to better train SDB pastors so they can better serve their congregations and communities. 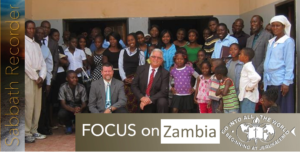 The Missionary Society is working with the Zambia Conference to once a quarter provide a team of instructors to meet with the pastors in Zambia to review what they have been studying and give further instruction. After hearing Clint Brown share about the program at our SDB Pastor’s Conference in April of 2015, and after he asked me if I would be interested, I felt the call of God on my heart. I did not particularly want to go to Africa. I am already very busy, and I could think of a number of reasons not to go, (including my own discomfort with the unknown). But after praying and after discussing with family and church family, I decided to accept the call to be an instructor for the 2nd T.I.M.E. module in Zambia in October of 2015. 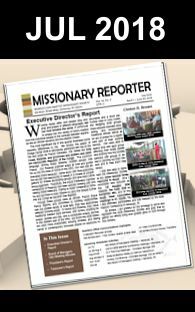 The Missionary Society is making this project truly an international SDB project by including instructors from both the USA and Canada General Conference and from other conferences which are part of the SDB World Federation. My fellow instructor was Pastor Ian Ingoe from New Zealand. We had never met in person until this trip, but we did get have some contact over the internet. Getting to know Ian and becoming friends with him was one of the blessings of this trip. Pastor Ingoe is an experienced traveler, having made several trips to Malawi to help with many mission projects there. Input from Ian Ingoe, Clint Brown, and Garfield Miller of the Missionary Society all helped me to prepare for the trip. Preparations included getting the necessary medical exams, medication (to prevent malaria), and shots. I have a fear of needles, and I get nervous even going into a doctor’s office, so all of this again made me very uncomfortable! But God is greater than our fears (even silly ones!) and the desire to serve Him moved me through the process. The first part of my trip to Zambia went well, and I was able to connect with Ian at the Johannesburg Airport in South Africa. From there we flew on to the Ndola airport in Zambia. Our baggage arrived (yeah!) and we made it through customs. At this point we went outside to wait for our ride. It was a bit disconcerting that we did not know who would be picking us up, and our cell phones did not work in Zambia. As we waited longer and longer I began to get more and more nervous and uncomfortable, wondering what was going to happen. But eventually (after about 3 hours) our ride did arrive and we made it safely to our destination in Kitwe, Zambia. The lateness of our ride from the airport was my introduction to “African Time”, which means that it will happen when it happens. This again was difficult for me as a westerner who always strives to be early for anything. In spite of this issue, and the variety of unknown variables remaining, the rest of my time in Zambia went very well. I made many wonderful new friends and increased my circle of church family. Ian and I were provided with a nice, clean place to stay, and we were well fed both morning and evening. Quistin Chalwe, General Secretary for the Zambia SDB Conference, provided transportation every day for us, and made sure all our needs were covered. The T.I.M.E. classes were productive, with pastors and others participating. We had many good discussions, both on the specific class topics and on a variety of other issues both theological and practical. Ian and I were able to teach, minister, discuss, and worship with these Christian brothers and sisters in Zambia. We stressed that we were not there to tell them what to do, but to share our knowledge, experience, and training with them. This trip was primarily a teaching ministry so I got to share in the development of connections and training that will allow the local Zambia SDB pastors to be more effective in their ministry, knowing that they are part of a worldwide SDB Church that cares for and works with them in their ministries. The time flew by, and in the end I think it was a very successful trip both for them and for me. As I mentioned earlier, I started out very uncomfortable in regards to this trip. My many worries and concerns with the unknown (which may seem petty) could have prevented me from going or being effective once I arrived in Zambia. But after I settled in to the work in Zambia, and after I was able to get past my own issues, I was able to relax and do the work that God wanted me to do there. I still do believe in planning and getting the details worked out before hand as much as possible. But I also was affirmed in my need to trust God with what He is doing. In Matthew 28:19-20 Jesus tells us to “Go and make disciples of all nations, baptizing them in the name of the Father and of the Son and of the Holy Spirit, and teaching them to obey everything I have commanded you. And surely I am with you always, to the very end of the age” (NIV). “Going”, whether near or far, always involves leaving our comfort zone. Jesus calls us all to serve in some way. We are all ministers of His Kingdom. We are all called to become uncomfortable as we reach out in love for God and others. This is where our faith grows and is put into practice. I am so thankful that God calls each of us to be uncomfortable as we work with Jesus in the spreading of the Gospel in our own homes, communities, countries, and throughout the world.